Glenn Shepard Seminar "How to Supervise People and Lead a Team"
Name: Glenn Shepard Seminar "How to Supervise People and Lead a Team"
Glenn Shepard will present a half-day seminar "How to Supervise People and Lead a Team" based on one of his books, "How to Manage Problem Employees." 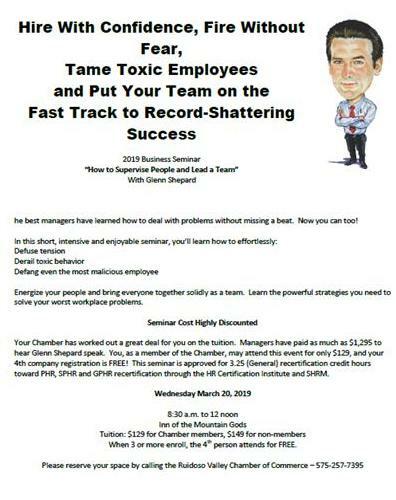 Learn the simple but powerful strategies you need to solve your worst workplace problems, energize your people and "Be the Manager Other Managers Envy and Bosses Can't Wait to Reward." Hire with Confidence, Fire without Fear, Tame Toxic Employees and Put Your Team on the Fast Track to Record-Shattering Success.